Our twelve letting bedrooms include central heating, en-suite bathrooms, free Sky TV & WiFi as well as tea & coffee making facilities. The bedrooms are situated behind the main bar area in a converted stable block and new purpose built accommodation development – both of which allow around the clock access to suit your needs. All rooms feature Sky’s ‘in-room’ television service; this includes the basic package plus Sky Sports and Movies as standard. Free wireless fibre optic internet (WiFi) is available throughout the bar and in all our guest rooms. Surrounded by the Peak District National Park, the spa town of Buxton boasts some stunning scenery, magnificent architecture, a thriving arts scene and plenty of shops. 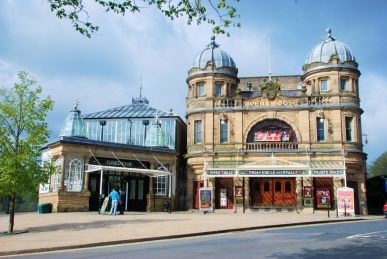 Known widely for its spa water, Buxton is home to a geothermal spring which rises from the ground at a constant 28°C. Some of the water from the spring is directed to St Anne's Well (in the centre of town), this pours freely around the clock.